Featuring a deeper profile to increase oil capacity by 100cc helps reduce oil temperature in long races especially in extreme muddy/sandy conditions where clutch abuse is most common. Selected models also feature an internal scoop to increase oil flow to the centre of the basket. 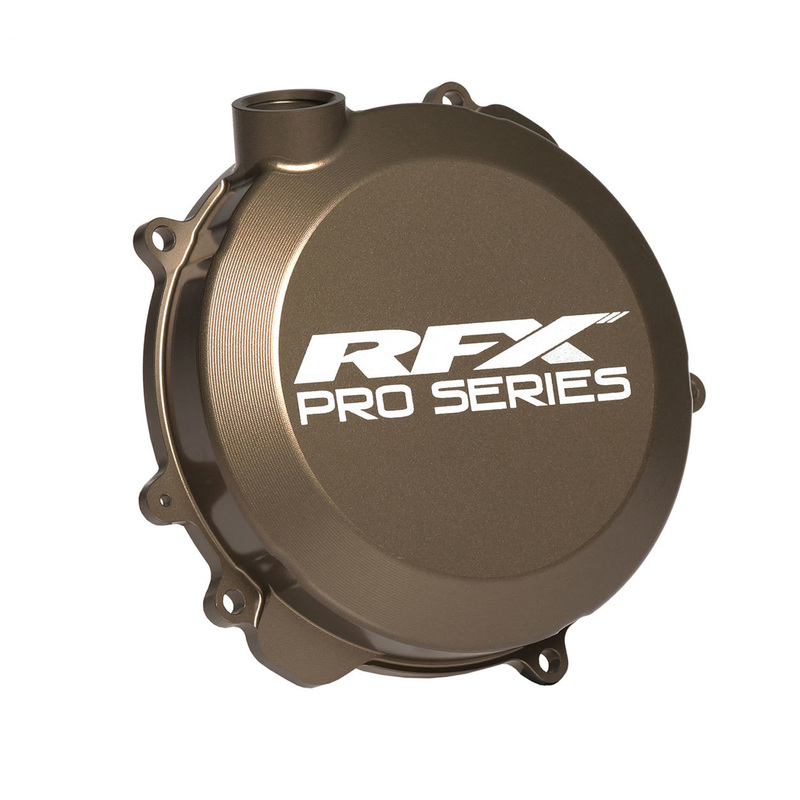 RFX Pro Series Clutch Covers are manufactured to increase oil capacity and circulation improving clutch performance and longevity. RFX Pro Series Clutch Covers are CNC machined from a solid billet of 6061-T6 aluminium which allows thin light weight sections to be machined whilst still increasing strength and durability over standard covers. This helps to resist damage from stones/rocks/footrests and brake pedals which can hole a standard cover almost guaranteeing a DNF. Pro Series Covers also feature an extra tough dark titanium grey Akadized surface treatment which drastically increases the wear resistance from boots and grit to give a lasting stylish look. Inner scoop design on selected models. Hard wearing Akadized surface treatment.